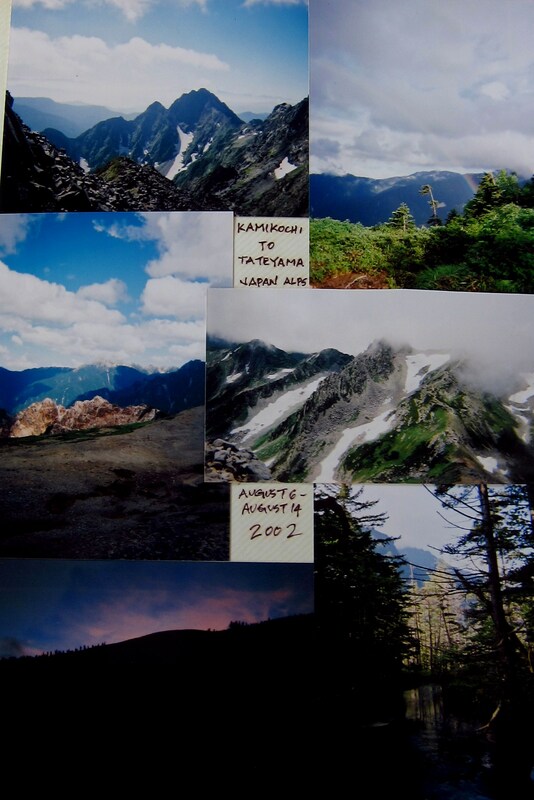 Back in the summer of 2002, I attempted one of the longest traverses of my life on the so-called Roof of Japan, from Kamikochi to Tateyama in the Kita Alps. What follows is a breakdown of that long, treacherous journey. I learned not only a lot about mountaineering in that 10-day stretch, but also a lot about myself. I catalogued my trip in a photo journal, the images of which you will see in this write-up. Stay tuned for the full report over the coming weeks, as I break each day down into great detail for others to learn from my (often) poor decision making. Once back at the guesthouse, I hit the showers and noticed a strange black leaf stuck to the top of my foot. “That’s no leaf”, I screamed, running towards the common room to find the staff. After dashing my foot with disinfectant, the leech eventually stopped feasting on my blood and shriveled under the intense heat of the cigarette lighter. Despite all of my numerous hikes and climbs, leeches were a first for me. The next step after cleansing was to try to dry out my camera. Again, the staff at Mariudo rose up to the task, hooking up a dehumidifier to slowly extract the moisture from the inside of my camera. Would it do the trick? 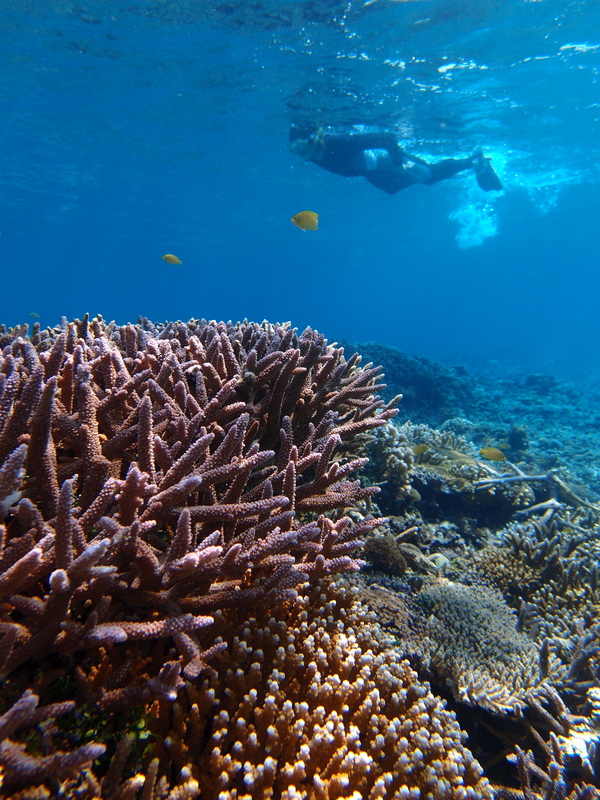 The next day I opted for some snorkeling to get my mind off of the jungle, and my trusty guide took care of all of the underwater photography, leaving an extra day of drying time for my camera.The coral reefs surrounding Iriomote Island are top notch, and we had the entire place to ourselves thanks in large part to the frigid waters. 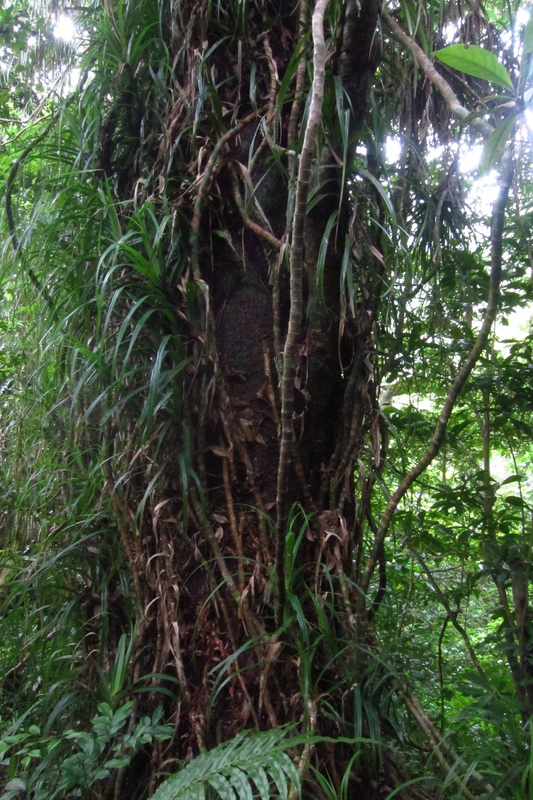 The following day, it was back into the jungle to not only test out my camera, but to also test my navigational abilities, for I was attempting to do part of the Iriomote Grand Traverse. 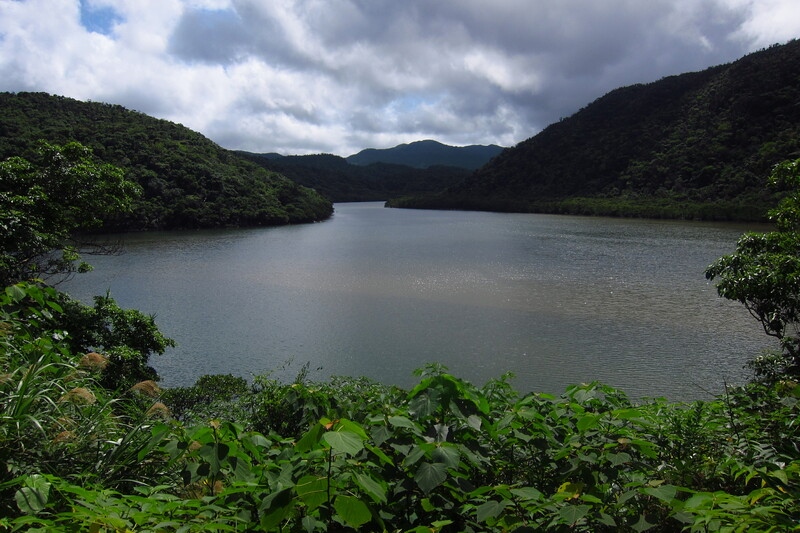 The tourist boat departed from Urauchi port at preciously 9:30am, where it sailed alongside the dense mangroves of Iriomote’s largest river. I could have done without the minute explanations and the deliberate slowing of the vessel to please eager camera wielding tourists. Just get me to the trailhead, and fast! Once off at the boat landing, the boat operator informed me that I’d best return on the 12:40pm boat, as there were unlikely to be any boats operating later. You see, in the off season, visitors are few and far between. I had exactly 2 hours and 40 minutes to make it as far upstream as I could in order to check out trail conditions for others attempting the full traverse. The things that I put myself through just to maintain a website that is little more than an obsession. Concrete and stone framed out the initial start of the approach, and the large swaths of exposed topsoil further on clearly showed the immense popularity of this path in the busier summer months. I was glad not to be sharing the path with any other souls, for I’d quickly passed the half a dozen other elderly strollers as soon as I disembarked. Even though the map times said to allow 45 minutes to reach Mariyudou waterfall, I was sitting at the overlook in a little over 15 minutes. Sweat trickled down my brow, mixing awkwardly with the sticky remnants of spider webs I’d severed on the hurried stroll. Just past the lookout, I was shocked to see the path down the falls roped off. Perhaps this was a temporary thing in the slow winter months? 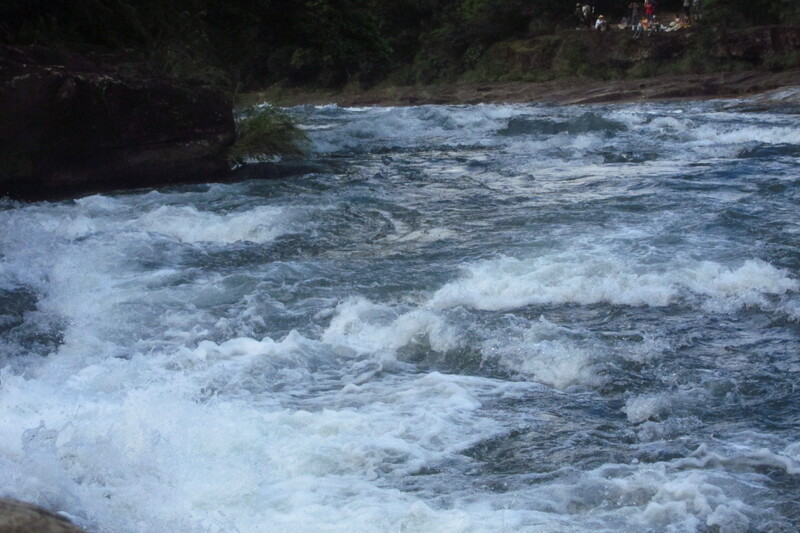 I made a mental note to double check the path on the return trip to the boat landing and continued up to Kanbire falls. Kanbire is an impressive roar of gushing water, tainted somewhat by the careless graffiti carved into the boulders of the lookout. From here the path immediately became treacherous. While the route was clearly marked with red tape, the wet, moss-covered rocks made hiking on an ice rink seem easy. I grabbed a downed tree branch from the underbrush, moulding it into a makeshift hiking stick and carefully picked my way though the maze of slick mush. Several times I found myself airborne, only to be saved by my quick reflexes. Eventually the path flattened out and crossed a tributary of the main river, where a rope was sturdily slung across the chilled waters. 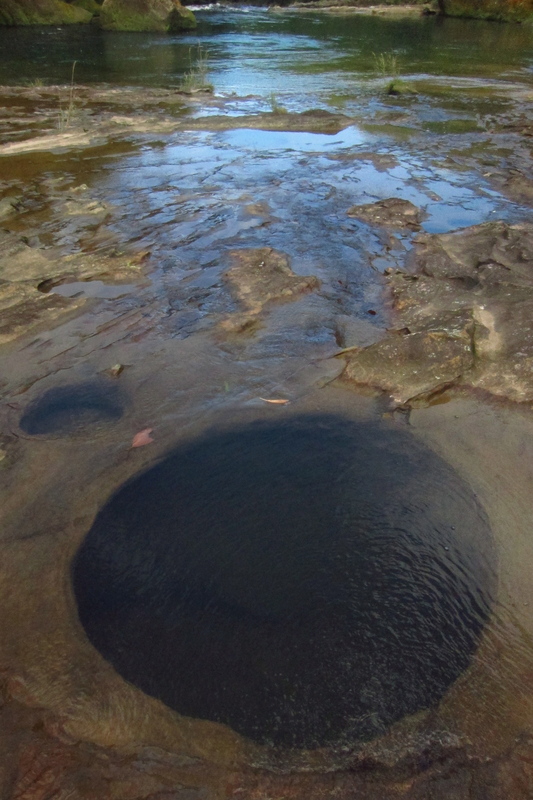 Once clearly above the waterfall, all signs of civilization quickly vanished and I found a magical wilderness of crystalline waters, perfect potholes carved into the flats as if by some extraterrestrial force, and the sounds of the jungle. 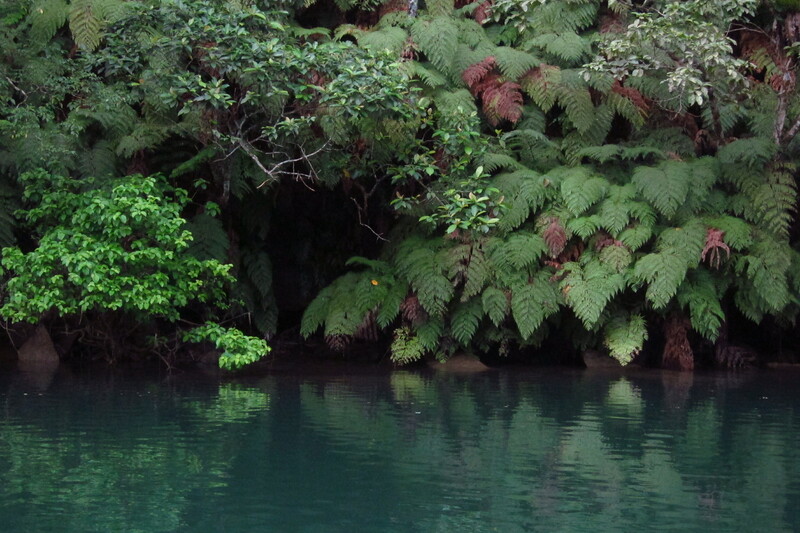 Further upstream, it became apparent that I’d have to enter the jungle in order to proceed further. Low and behold, stuck to a nondescript branch lie a tattered red ribbon. I’d successfully found the start of the traverse. Time check: 10:45. I’d need to turn around by 11:15 if I had any chance of guaranteeing myself a ticket back to civilization. Surprisingly, the trail was incredibly easy to follow, for every 200 meters there stood a numbered trailmarker with distances and destinations clearly labeled. 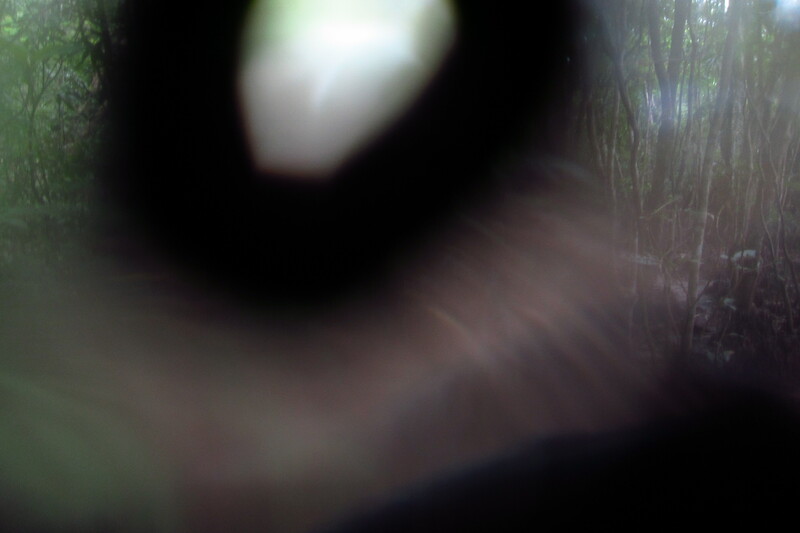 I continued upstream in the dense but sunny jungle, halfway contemplating whether I should actually do the full traverse or not. Two things stopped me. One, I had not registered my intentions with the police nor anyone for that matter. Two, last year one hiker became lost, and the resulting search party failed to locate the missing individual. Instead, they came across the bones of another man who’d gone missing nearly 10 years earlier. The jungles are clearly not a good place to tempt fate, so I did the only logical thing and turned back at preciously 11:15. Once back at the river bank, I took my first break of the entire hike. Out came the tuna and crackers, followed by a handful of cashew nuts. A fearless crow crept precariously close to my dining table, threatening to run off with my provisions. The crows in the Yaeyama archipelago have a reputation for opening unattended bags and making off with anything in a plastic bag, food or not. A friend of mine lost a cell phone in this manner on a snorkeling mission. Beware not of human thieves. On the return walk the crowds swelled five-fold, meaning there’d surely be a later ferry than the one I was aiming for. Oh well, too late to continue into the jungle. 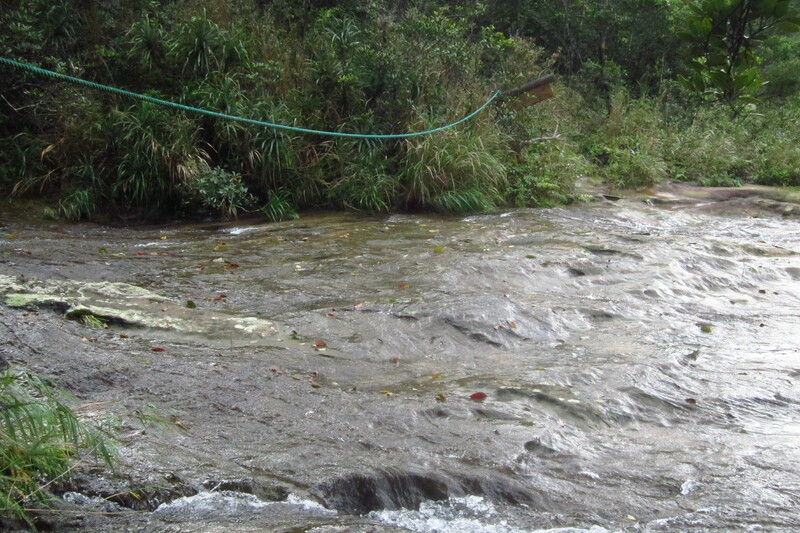 Back at the Mariyudou junction, I slipped under the roped off section, took 3 steps and landed firmly on my backside. Surely this was the reason for the trail closure, I quickly surmised. 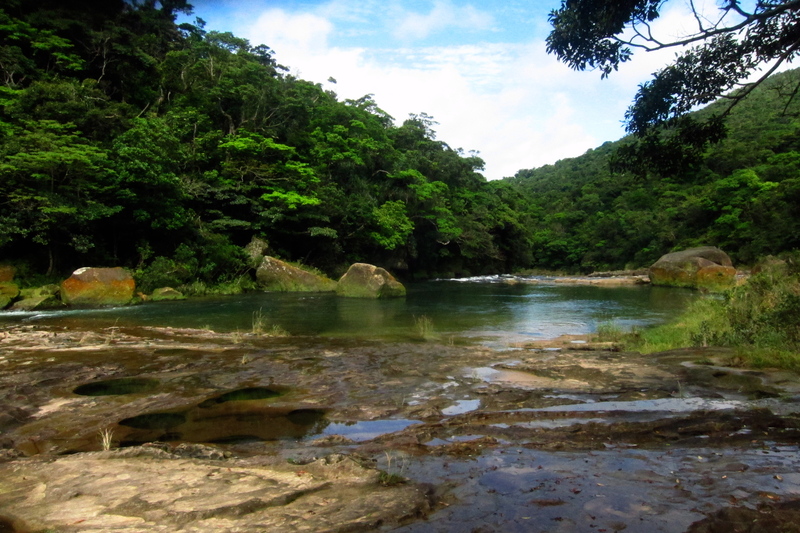 Unfazed, I continued down the hugely overgrown path and ended up at the river’s edge, above the waterfall. Surely, someone must have either seriously injured themselves by falling down the stairs, or perhaps ventured a little too close to the fall’s edge and was swept downstream. Trails in Japan simply don’t close unless there’s been a fatal or near fatal accident. I made the 12:40 ferry with 30 seconds to spare, collapsing on the plastic seat and reflecting on my marathon effort. I really need to slow down this lightning speed or else I may end up with some permanent muscle damage. As for the camera, I quickly adjusted to the decreased functionality enough to sufficiently document the scenery. A day off was certainly in order though. The ferry pulled into Uehara port after a fierce battle with the seas, contrasting vastly with the sunny skies of Ishigaki I’d just left. The rain poured in buckets as the staff shuttled me to my room at the guesthouse. Perhaps this rain were an omen of things to come. I spent the few remaining hours before dinner examining maps and asking the staff loads of questions about possible routes. With so many possibilities, I decided to take it one step at a time and start the proceedings with some river kayaking. 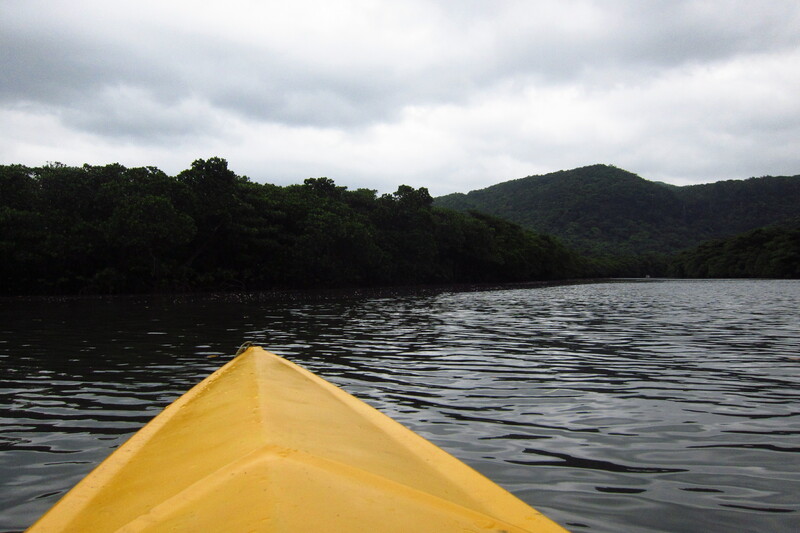 Early the next morning, Masato drove me to the river bank, pulled my rented kayak into the waters, and bade farewell. 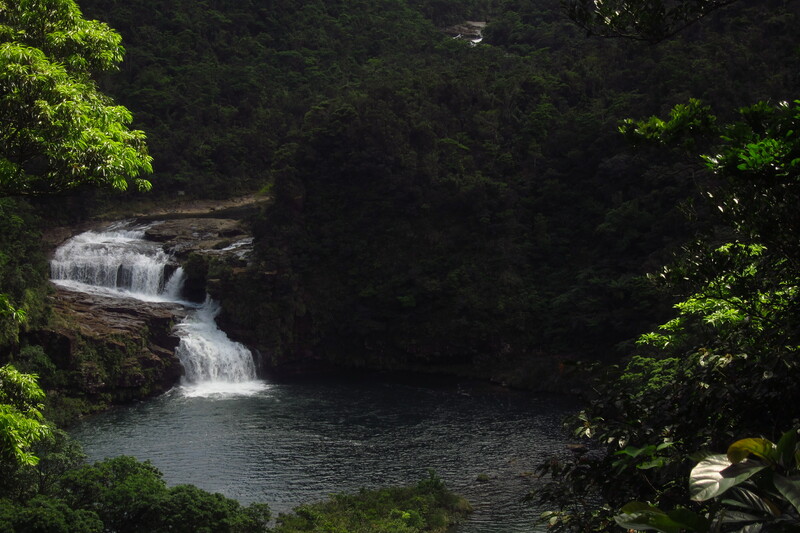 Armed with a hand-drawn map of the area, I was to maneuver through the mangroves until reaching the trailhead for Pinaisaara waterfall, the tallest waterfall in Okinawa. I set off in good spirits upstream, trying to get the hang of the most efficient paddling motions. The trees hung near inches from the surface of the tidal waters, as I fought both the wind and the current for momentum. All alone I crested, looking for other kayaks to guide me. Perhaps they’d start after me? Alas I reached what I think is the correct boat landing: a series of small wooden steps with metal rings embedded. As I disembarked the vessel I somehow jostled the edge of my secured backpack, sending my rather pricey and barely 6-month old compact digital camera straight into the murky waters. I froze in horror – all silent including my heartbeat, before reflexively diving my right arm into the meter deep river to retrieve it. Salvaged but surely the damage was done. I hung my new paperweight off the chest strap of my pack in hopes that some of the electronics would start to dry before short-circuiting. 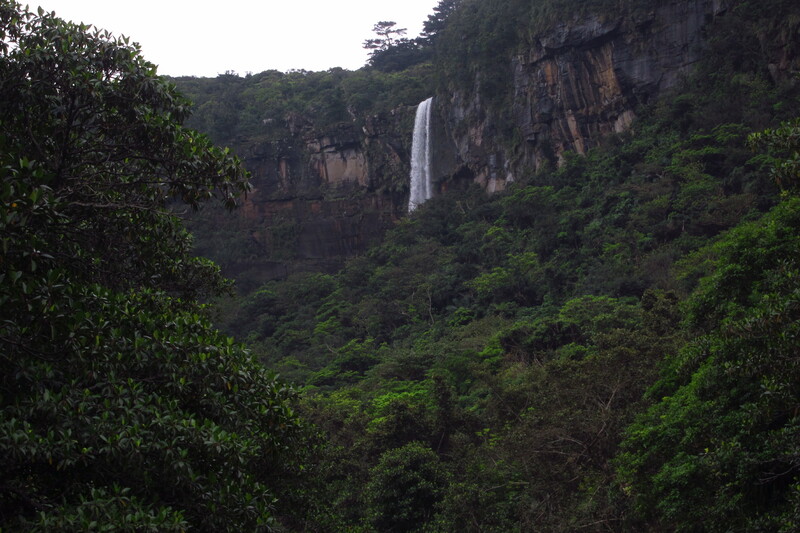 I set off to climb to the top of the waterfall with nothing to shoot with save my 2 megapixel cell phone camera. I shot away as best I could, as I needed the photos to help me with the write-up of the hike on my other site. Soon I reached the edge of the river bank above the waterfall, and waited, for I knew not the best way of fording the river. After 20 minutes, a guided tour showed up, so I simply sat back and naturally observed the footwork of the guide. Shortly after the clients safely crossed I too had followed in their footsteps and sat atop the might 60-meter vertical drop. 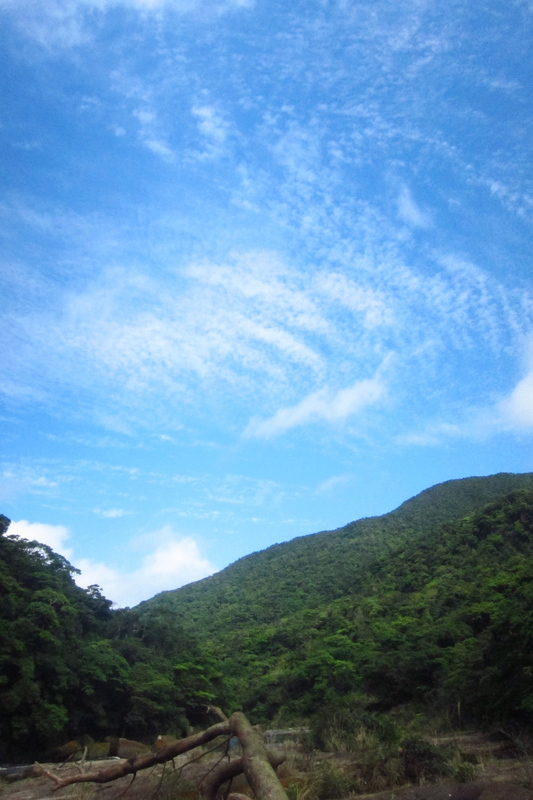 Clouds prevented a clear view of the East China Sea beyond, but at least I could have a bird’s-eye view of the vast jungle spread out before me. After re-crossing the river, I opted to put on my trekking shoes, since I’d made the steep ascent and river crossing in my sandals. The extra foot protection made the tricky descent more manageable until I’d once again reached the river flats. From here it was simply a matter of rock hopping and trying to pick up the unmarked trail to the base of the falls. 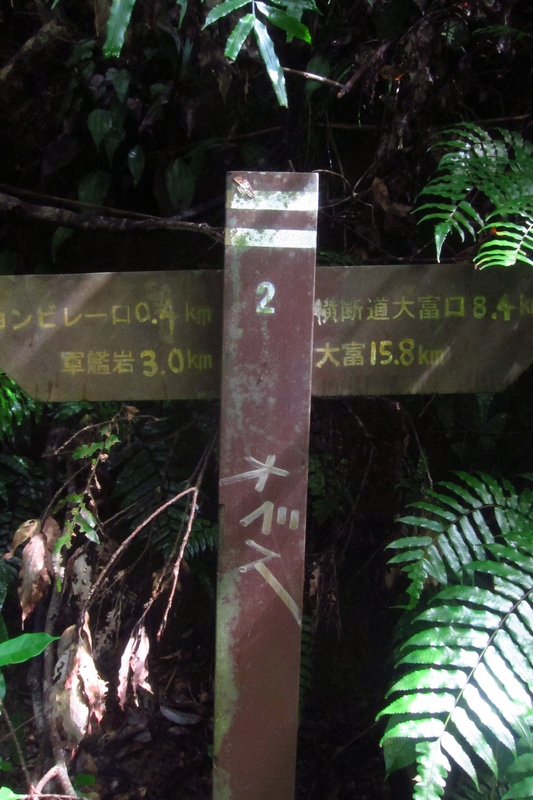 Even though this is one of the most popular day excursions on Iriomote, absolutely no signposts or tape marked the trail. Perhaps this was a deliberate effort by the guides in order to not make their jobs obsolete. Indeed, on this particular day I rain into 4 other groups, all of whom had guides. I was the only one going solo, but my vast mountaineering experience and path prediction skills proved worthy for, after a creative 20-minute venture, I too found myself bathing in the mist of the roaring aquatic whirlpool. Retracing my steps back to the kayak, I slipped on a moss-covered rock and bounced once again on my bruised buttocks and opened up a gash in my left shin that had me winching in pain. 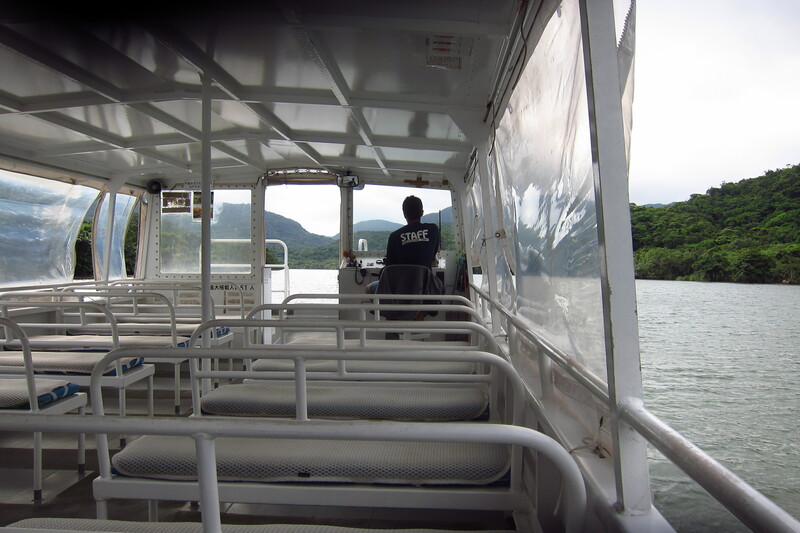 The ghosts of Ishigaki certainly followed me on the ferry over to Iriomote. Once back at the river bank, I struggled to locate my kayak. Apparently, the smart thing to do is to hang your life jacket in a tree adjacent to your kayak to make it easy to find. What was my life jacket doing in my kayak? Eventually I did locate what I thought was my correct kayak, and started the 30-minute cruise back to my starting point. Despite my troubles with the camera and the open wounds, things couldn’t be better. Indeed, less than 10 meters in front of me, a crested serpent eagle swooped down across the river and perched itself in a neighboring mangrove. I pulled the kayak to a halt, sat quietly, and observed. 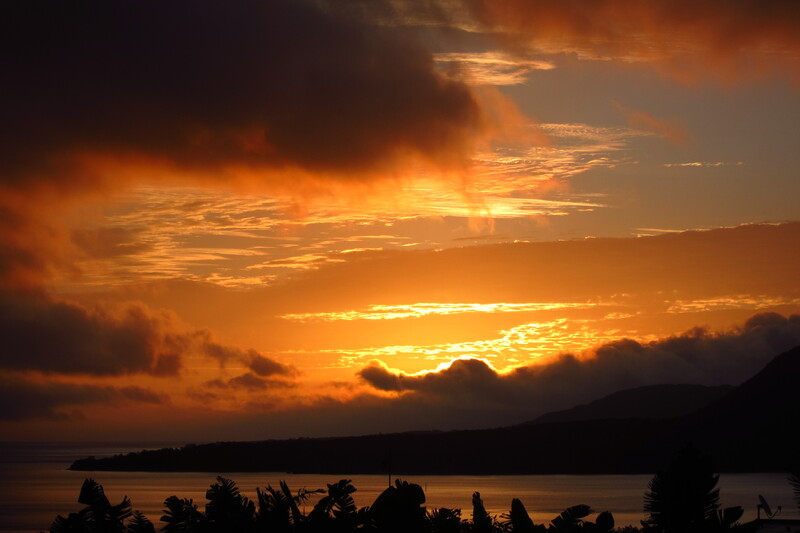 What couldn’t be documented with a camera would have to stay with me in memory.